q Akbar W., Lord J.C., Nechols J.R. & Loughin T.M. (2005) Efficacy of Beauveria bassiana for Red Flour Beetle when applied with plant essential oils or in mineral oil and organosilicone carriers. J. Econ. 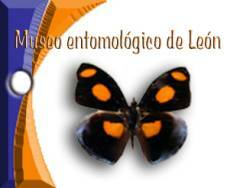 Entomol., 98(3):683-688.
q ANONIMO (xxxx) Hongos Enteogenos. 117pp. q ARNOLD A.E. & LUTZONI F. (2007) Diversity and host range of foliar fungal endophytes: are tropical leaves biodiversity hotspot? Ecology, 88(3):541-549.
q BUD R. (2007) Penicillin: Triumph and Tragedy. The fall of a wonder drug. Nature, 446, 1pp. q CARRILLO L. (2003) Hongos. Microbiologia Agricola. Capitulo 7, 14pp. q DESPREZ-LOUSTAU M.L., ROBIN C., BUEE M., COURTECUISSE R., GARBAYE J., SUFFERT F., SACHE I. & RIZZO D.M. (2007) The fungal dimension of biological invasions. Trends in Ecology and Evolution, Article in Press, 9pp. q EPA (xxxx) Beauveria bassiana. Identificacion del ingrediente activo., 2pp. q EVANS H.C. & REEDER R.H. (2001) Fungi Associated with Eichhornia crassipes (Water Hyacinth) in the Upper Amazon Basin and Prospects for Their Use in Biological Control. Biological and Integrated Control of Water Hyacinth, Eichhornia crassipes, edited by M.H. Hill, T.D. Center and Jianqing ACIAR Proceedings 102, 9pp. q FERNANDEZ MICHEL F. (2002) El Cultivo de Setas (Pleurotus spp). Guadalajara, Jalisco Mexico, 22pp. q Flor A., Estivill D., Pérez R., Ordeig J., Ramos F., Soler Bel J. & Puig X. (2003) Histoplasmosis pulmonar aguda en un viajero español a Nicaragua: ejemplo de enfermedad importada. Rev. Iberoam. Micol., 20:24-28.
q GOMEZ-ALPIZAR L., CARBONE I. & RISTAINO J.B. (2007) An Andean origin of Phytophthora infestan inferred from mitochondrial and nuclear gene genealogies. PNAS, 104(9): 3306-3311.
q Grimm C. (2001) Economic feasibility for a small-scale production plant for entomopathogenic fungi in Nicaragua. Crop. Prot., 20:623-630.
q HUMBER R.A. & HANSEN K.S. (2005) Beauveria and allied fungi. USDA-ARS Plant Protection Research Unit US Plant, Soil & Nutrition Laboratory, 94pp. q Ibarra-Aparicio G., Moya-Raygoza G. & Berlanga-Padilla A. (2005) Efecto de Beauveria bassiana y Metarhizium anisopliae sobre la Chicharrita del maíz (Dalbulus maidis DeLong y Wolcott, 1923) (Hemiptera: Cicadellidae). Folia Entomologica Mexicana, 44(1):1-6.
q LOCKWOOD T.F. (xxxx) Fungi from around the World. 88pp. q LOPEZ CONTINI E. (xxxx) Cultivo del Champiñon, la trufa y otros hongos. AEDOS, 128pp. q MONZON A. (2001) Produccion, uso y control de calidad de hongos entomopatogenos en Nicaragua. Avance en el fomento de productos fitosanitarios no sinteticos. CATIE GTZ, 9pp. q OROZCO A. L., PÉREZ M. I., GUEVARA O., RODRIGUEZ J., HERNANDEZ M., GONZALEZ-VILA F. J., POLVILLO O. & ARIAS M. E. (2008) Biotechnological enhancement of coffee pulp residues by solid-state fermentation with Streptomyces. Py-GC/MS analysis. Journal of Analytical and Applied Pyrolysis, 81: 247-252.
q REYES R. C.A. (xxxx) Hongos Fitopatógenos. Capitulo III Fitopatología General. Guías de Apoyo, 12pp. q ROBERTS L. L. (2006) Molecular Analysis of the Rhizosphere Fungal Diversity on a Regenerating Louisiana Oil Brine Spill: Perspectives in Biorestoration. Thesis for Degree of Master of Science. 24pp. q RUEDA HERNANDEZ M. (2008) Un especímen de la flora micologica del Macizo Peñas Blancas, Cua – Jinotega, 2006. UNAN, Managua, 2 pp. q SEAL J.N. & TSCHINKEL W.R. (2007) Co-evolution and the Superorganism: switching cultivars does not alter the performance of fungus-gardenig ant colonies. Functional Ecology, 21:988-997.
q SEIFERT K.A., SAMSON R.A., de WAARD J. R., HOUBRAKEN J., LEVESQUE C.A., MONCALVO J.M., LOUIS-SEIZE G. & HEBERT P.D.N. (2007) Prospects for fungus identification using CO1 DNA barcodes, with Penicillium as a test case. PNAS, 104(10): 3901-3906.
q THI LOC N., THI BICH CHI V., THI NHAN N., DUC THAN N., THI BE HONG T. & QUANG HUNG P. (2004) Biocontrol potential of Metarhizium anisopliae against Coconut Beetle, Brontispa longissima. Omonrice, 12:85-91.
q WAYNE R.R. Traducido Por Nestor Curvetto (2000) Cultivando Hongos de Manera Facil. Cultivo de hongos en el hogar con Peroxido de Hidrogeno. Volumen I. 78pp. q WAYNE R.R. (xxxx) Cultivando Hongos de Manera Facil. Cultivo de hongos en el hogar con Peroxido de Hidrogeno.,44pp. q Weinberg M., Weeks J., Lance-Parker S., Traeger M., Wiersma S., Phan Qu., Dennison D., MacDonald P., Lindsley M., Guarner J., Connolly P., Cetron M. & Hajjeh R. (2003) Severe Histoplasmosis in travelers to Nicaragua. Emerging Infectious Diseases, 9(10):1322-1325.
q WITTE V. & MASCHWITZ U. (2008) Mushroom harvesting ants in the tropical rain forest. Naturwissenschaften, Springer-Verlag, 6pp.